(Text automatically translated) Apartment ideally located, comfortable and carefully decorated. Bed linen provided. Completely renovated, ranked 3 pillows per Tignes owners partnership, it is located in the heart of the resort, close to shops and slopes. Near the ski lifts (1 chair lift at 50m). Possibility to book ski lessons individual or group for children and adults with the French ski school of Val Claret. The meeting point of the ESF is in front of the residence. we had an excellent holiday in this property. Superb location to ski school, the ski area and all local amenities. the apartment is well appointed, comfortable and has everything you would require to enjoy your stay. I would highly recommend this property. Thank you Phillipe for excellent customer service during our stay- very much appreciated. Many thanks Nicola, see you soon at Tignes. 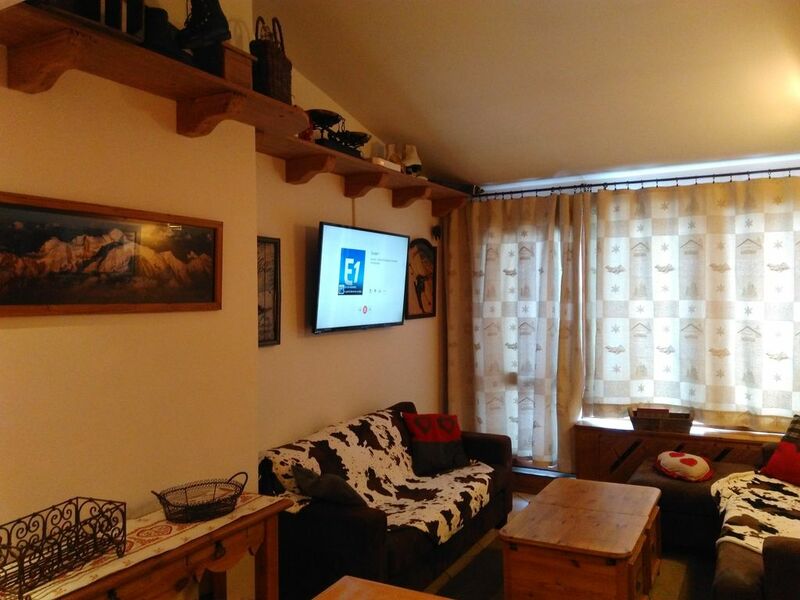 Good size ski apartment, excellent location, well equipped. We were 2 families and the layout was excellent with plenty of space for sleeping, eating & relaxing. We will return! "tout était parfait, très bel appartement idéalement situé, proche du village et des pistes ! Grand confort et pratique d''accès." "Super séjour, logement très agréable, conforme à la description, idéalement situé dans la station." (Text automatically translated) Go to Tignes Val Claret through the center of Val Claret go under the bridge and then a skier crossing the first building on the right is the residence of Pramecou or the apartment. (Text automatically translated) The NEWSPORT store offers you 30% on your ski equipment rentals. ALPAGE the top of the chairlift Chaudannes and Coffee table located in front of the residence for lunch on the terrace. And the new aquatic center in Tignes le Lac (Lagoon) for relaxing after skiing with pools, saunas, steam rooms and Jacuzzis. Frais supplémentaires: La taxe de séjour à régler sur place est de 7€ par semaine, pour une personne de 18 ans et plus. Le ménage de fin de séjour est de 85€. Une caution de 500€ non encaisse sera demandé lors de la remise des clés et rendu en fin de séjour, sauf casse. Les clés sont remise en mains propres par le propriétaire le jour de votre arrivé.